The amazing crew over at the Quilt Inspirations blog have put together a collection of links with an impressive variety of wonderful projects! There are charming blocks, gorgeous table runners, precious mini-quilts, and several heart-warming quilt patterns. 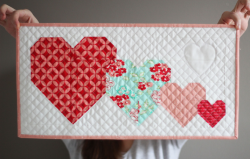 "Take heart! 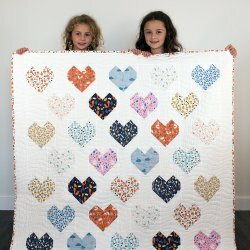 Within this collection of 50+ free patterns you will find quilts, wall hangings, table runners, and pillows; happy hearts, broken and mended and scrappy hearts; in short, a heart for every occasion."